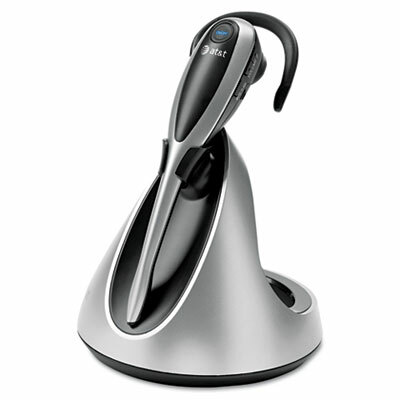 Versatile headset delivers precise volume control. Multiple wearing styles include behind the ear and over the head. 500 ft. wireless range for larger workspaces. Convenient one-button answer for incoming calls. Auto off maintains battery life.